Quarantine the damage; Start Building the Love. It's time to setup a BlackBerry USA division. This is an editorial that's been in my head for a while now, and if you listened to my recent guest appearance on the Engadget Mobile Podcast you will have already heard a good chunk of it. With today being Valentine's Day and this article aimed at re-building the love for BlackBerry in the USA, the timing is right to publish it. Long story short, I think Research In Motion formally needs to set up a BlackBerry USA division, complete with a newly appointed President of BlackBerry USA. Doing so will help RIM to better control the "BlackBerry" message within America and more importantly, help place a more clear distinction and barrier between BlackBerry USA, where sales are lagging and the brand isn't perceived so hot right now, and BlackBerry in the rest of the world, where the brand is still held in high regards. Furthermore, as the company launches its new BlackBerry 10 phone line later this year, having a dedicated President of BlackBerry USA whose key role is to communicate with US media and Wall Street will help foster a stronger relationship with the company. I like RIM's new CEO Thorsten Heins a lot, but he can't spend all of his time doing interviews - he has to actually run the company. Unfortunately, through this transitional period and into the launch of BlackBerry 10, I think a lot of BlackBerry face time is needed in the USA. Having an extra well-positioned BlackBerry spokesperson to share the work load on the communications front will only help. Anybody who follows the Research In Motion/BlackBerry story closely or does their homework can sum up RIM's current position in the marketplace with a handful of words: US Bad; Global Better. While BlackBerry sales and the BlackBerry brand have taken a beating over the past 18 months within the USA, things are still holding up globally. The US has been hard on RIM. RIM's product portfolio lagged the competition and US carriers and US consumers have punished the company for that. The US media has too. A lot has been written in recent months about BlackBerry's struggles, but the majority of these stories tend to project a US point of view as also being true for BlackBerry around the world, which is myopic, unfair, and simply not the case. In the UK, BlackBerry still holds the top market position for smartphone vendors. In Indonesia riots broke out at the recent grand opening of a BlackBerry retail store for fear of there being not enough phones for everybody waiting in line. Last week's European BlackBerry Developer conference was sold out weeks in advance of the event. Clearly there's still a lot of love for BlackBerry around the world. There's no denying that RIM's biggest challenge is in the good ol' US of A, which just so happens to be the main hub of the world's most influential financial and media organizations. RIM certainly has made its share of execution blunders, and in reacting to the fast paced change happening in the smartphone market. The introduction of BlackBerry 10 phones later this year will put RIM back in the fight at the product level. It's a shame the transition to an updated operating system platform didn't begin three years earlier, as RIM might be leading right now instead of fighting its way back into the game. But I think what's even worse is how RIM screwed up building strong relationships with the media and customers as BlackBerry became a consumer brand. This mistake, driven by lack of change years ago, is hurting them like a bullet lodged in their chest cavity. It's not too late to fix the problem by any means, and I'd like to elaborate on how I see RIM digging itself out of the hole it's in stateside. To really understand the trouble RIM is facing, we need to take a trip down memory lane. Think back to 2007, the year when CrackBerry.com was launched. The BlackBerry Pearl was still quite fresh from its late 2006 launch, and the Curve was just about to be introduced late that spring. These devices were RIM's new growth engine. They started RIM's massive transition from an enterprise supplier into a consumer phenomenon. From a sales point of view, RIM knew it was turning into a consumer company. But other than counting dollars and subscribers, RIM didn't really do anything at that point to change its image to one of a consumer company. Yes, they began selling products to consumers, but they still portrayed themselves as an enterprise focused company. And unfortunately, it's hard for tech media and consumers alike to build an emotional connection and start feeling the warm and fuzzies for a company that prided itself on security and data efficiency. Amazon's CEO, Jeff Bezos, says, "Brands are like quick drying cement. When they are young they're stretchable and pliant. But over time they become more and more associated with a particular thing and are harder to stretch." I think this applies to RIM, especially in the US market, where the length of time they've been seen as an enterprise brand has worked against the company. "Regionally I would say we could have done better in the US, but in the rest of the world no, because in the rest of the world we were never that much perceived as an enterprise play. In international markets the time lag between us doing enterprise and going consumer was really, really short, where as the real history of RIM and BlackBerry in the US was messaging and paging -- services very much used by enterprise. We were in enterprise services for a long time, and then actually got pulled into the consumer market. That was several years of an evolution whereas you need to think about the warp speed this happened in international markets, so that's a bit of a difference. You have to look at it differentiated across the various regions." When I think back to my first trip to a RIM conference in 2007, coinciding with the announcement of the very first Curve 8300, the show was still pure enterprise. It was called Wireless Enterprise Symposium (WES). RIM employees wore dark suits. RIM employees working the booths were told to not engage with bloggers. Even though consumer sales were skyrocketing, the Co-CEOs (particularly Mike Lazaridis) drove this focus on the enterprise throughout the culture of the company. Incidentally, RIM only changed the name of WES to a more consumer-friendly "BlackBerry World" in 2011, by which time the vast majority of its user base were consumers. As I made friends with other US-based tech bloggers and journalists and began attending shows like CES and CTIA, I quickly learned that outside of BlackBerry "enthusiast" bloggers, only a handful of the general tech bloggers / journalists I met ever really had a love for BlackBerry products (I'd include Boy Genius, Al Sacco and more recently Jacob Schulman as guys who appreciated the BlackBerry experience as much as myself). But among both the BlackBerry supporters and non-supporters, literally no one I knew had much, if any, affection for Research In Motion, the company. And in many cases, for reasons that I never fully understood, even then there seemed to be downright hostility against RIM from some of my peers. It's not that RIM burned bridges with these people. I think it's more the case that a bridge was never built to begin with, which is almost as bad. At the time, I blamed this lack of love for RIM on people "simply just not getting what BlackBerry was all about." I made excuses. What I realize now is that in those early years of transition from enterprise to consumer, RIM simply failed to build any sort of strong connection or bond between the company and those who would write about the company for years to come. And in the past 18 months when the product and sales have arguably lagged the competition, that has come back to bite them. Hard. This realization came from thinking about Palm. Remember all the ups and downs that Palm faced these last few years? They went through a platform transition similar to what RIM is working through now, and it didn't go smoothly for them. The new products didn't sell as well as planned and they ran into liquidity problems. They sold to HP, who abruptly axed the hardware and ended up open sourcing the OS. Yet the whole time all of this was happening, every tech blogger, myself included for that matter who was a BlackBerry fan and not a webOS fan, was rooting for Palm to pull through and remain a player in the mobile space. The articles written about Palm were always hopeful, even when the news was grim. Though I don't know what exactly Palm did to make it happen, it felt like the media all had the warm and fuzzies for Palm, the company as much as they may have had for the products and brand. Now compare that to how these same bloggers write about BlackBerry sales lagging in the US. Or look at the reaction to RIM's recent Super Hero infographic which was so poorly received that RIM had to make a statement saying it wasn't a marketing campaign. The media has been outright vicious in attacking RIM. It's the modern-day high tech media equivalent of a bunch of kids in grade school deciding to pick on one of the other kids in the class. Granted, RIM has provided the ammunition for the media to work with, but that doesn't explain what we're seeing. Somehow with BlackBerry the positive news is reported at the bare minimum level, while the negative news gets amplified. Few have those warm and fuzzies for Research In Motion. In 2007, more often than not I would be the only RIM fan in the press room. In 2012, things feel pretty much the same, despite all of the success RIM has had between then and now. During RIM's years of dominance in the smartphone space in 2007, 2008, 2009, the BlackBerry headlines were always positive because they had to be. Whether you liked RIM or not, you couldn't discount their success in BlackBerry sales and growth and their position as the market leader in smartphones. However, when RIM's fortunes began to turn in the other direction, it was as if permission was granted for the media to begin telling the world what they really thought of the company. Following the daily headlines, it was as if there was a competition going on to see who could come up with a nastier one against RIM. In our CrackBerry forums, many discussions emerged putting out the theory that there was some sort of conspiracy going on against RIM to drive the company into the ground. Honestly, for a while I felt the same way, that there was a sinister mass anti-RIM movement at play being orchestrated by an organization of evil doers, but then I realized it just all comes back to love, or the lack of it. Whereas the love for Palm tended to help frame the company's challenging times in a fairly optimistic light, the opposite began playing out true for RIM. The only way to stop the cyber-bullying of RIM is for the media to really grow to like the company. Dr. Robert Cialdini wrote a really popular book called, "Influence: The Psychology of Persuasion". In one chapter he writes about the principle of liking. In short, people are more easily influenced by people they like. And by extension, I think the media is influenced by companies they like. Getting the US media to like RIM should be the company's #1 goal from a marketing perspective (i.e. not a product perspective). The financial community and the big media companies are US-centric. Yet the content they publish is read by a global audience. Just like a wart has to be killed at its root, the media attacks on RIM need to be killed by being liked in the US market. If the US media continues to hammer RIM every chance they get, it eventually threatens to affect the way the rest of the world views the company too. Mass populations are influenced by pounding messages into their craniums over and over. Since Thorsten Heins was made CEO of RIM it definitely feels like the company is off to a fresh start in many ways. On the PR front, we're already seeing the company be more proactive and responsive. Leaving Amsterdam last week after BlackBerry DevCon Europe wound down, I could sense a momentum is beginning to build. It's time to build upon that and lay a foundation to win back the US market. So how does RIM get the US media to like them? They need to get busy building up a much stronger executive presence in the US. This would be the foundation for developing solid relationships with key influencers in the US market. I think Thorsten Heins is the right CEO for RIM. RIM is in the process of working through a major technical transition and organizational restructuring, and the company needs a leader who knows the company and can focus on execution. RIM needs to build up its app ecosystem and get BlackBerry 10 phones out the door, asap. The BlackBerry 7 revenue engine will only fire for so long, so RIM needs to hurry. Bringing in some sort of outside "Rockstar CEO" at this stage in the game who would potentially look to change RIM's current roadmap would be risky - RIM doesn't have the luxury of time to waste. Likewise, Thorsten Heins has no time to waste. He can't be expected to spend his time doing interviews all day long (though we sure appreciate when he does!). Sure, it makes sense as he introduces himself to the media and analyst community, but let's not forget he has a company to run. He needs to focus on putting the right people in place to build products and market the heck out of them as well as the BlackBerry brand. 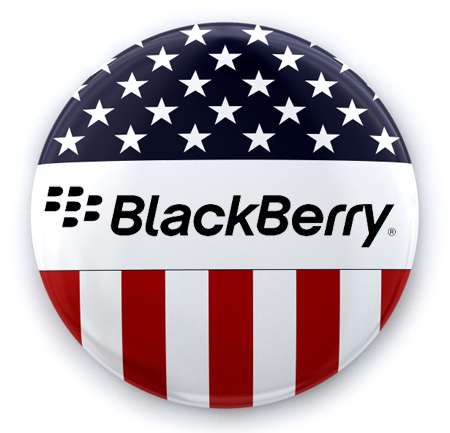 Since the US is such an important market, I think RIM should set up a new reporting entity known as BlackBerry USA. It should be headquartered in Silicon Valley, and it should have its own dedicated President. This role should be separate from the Chief Marketing Officer role that RIM is looking to fill. The CMO role is a global role. BlackBerry USA needs to establish a senior leadership position with a President title to establish authority. The truth is that major media outlets don't want interviews with a "Managing Director". They want to talk to a CEO or a President. A President of BlackBerry USA could be the voice of RIM in that uber-important market. He (or she) could dedicate the majority of his time interfacing with the very same people who could show RIM some much-needed love. He could also focus on many of the company's country-specific marketing problems and execute on driving sales through the right mix of carrier and retail promotions, etc. For those who were hoping RIM would get a "Rockstar CEO" as the replacement for Co-CEOs Mike Lazaridis and Jim Balsillie, via this position RIM can still do just that. Find a well-connected, well-known, likeable CEO personality from the US and put him into the position. Heck, Jon Rubinstein -- the former CEO of Palm who was formerly at Apple -- just left HP. He won't want to move up to Waterloo, but maybe he'd be interested in a Silicon Valley-based position as President of BlackBerry USA. He did a great job with the media during Palm's bad times right to the end. And heck, he may even have some good ideas for RIM. Plus he's due for a win. If Rubi isn't up for the job I'm sure there are some other great candidates out there. RIM is already recruiting for a CMO. They can start recruiting for a President of BlackBerry USA too (hmm.. since I lost the race against Heins to lead RIM, maybe I should put my name in the hat for this one). The notion of a BlackBerry USA division isn't a crazy idea. It's actually sort of crazy that RIM doesn't already have a formal BlackBerry USA division. There is a lot of precedent for this type of structure when it comes to global companies that have headquarters outside of the US. I like cars and watches, so I'll use those industries as examples. Look at BMW and Rolex. Neither company has its global headquarters in the States. Yet both companies have a US division with a President of BMW USA and a President of Rolex USA. Besides the obvious importance of developing stronger relations with US media and helping to put a corporate wall around the US market from the rest of the world, RIM has enough of a company presence in the US to justify creating a separate division. They already have substantial operations in Texas, Illinois, Florida, North Carolina, and of course California. You can see all their US operations on this map. As much as I'd like to see RIM do what I'm suggesting here, they still need to give tech journalists the ammo they need to write positive stories. The current BlackBerry 7 + PlayBook product lineup is OK, but still falls short of the high end competition in many ways. When RIM launches BlackBerry 10 they need to make sure that isn't the case anymore. They need to be on par with most functionality, have the critical apps in the app catalog and have some clear differentiators that product reviewers will pat RIM on the back for. It pains us to know that RIM will make us wait another 3 quarters before putting shiny new QNX-powered hardware into our hands. So while we're waiting they may as well push hard on prepping a first rate relationship building team focused on the US market. Let's rock and roll this!